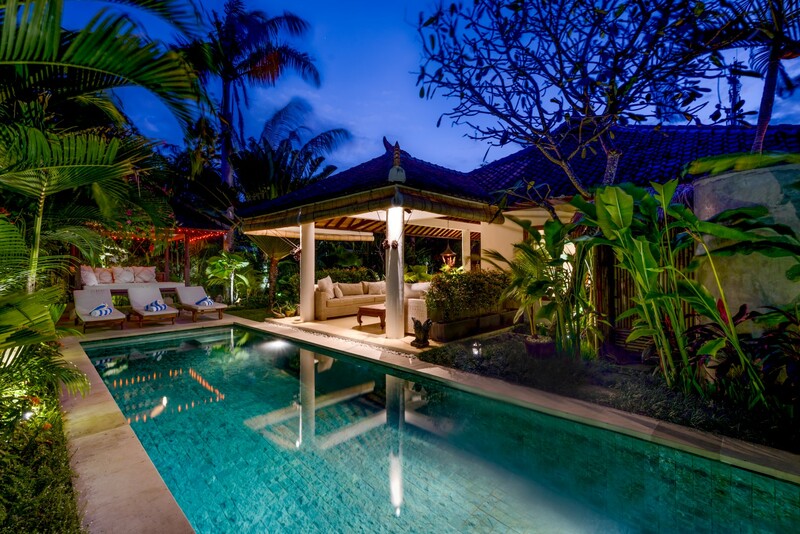 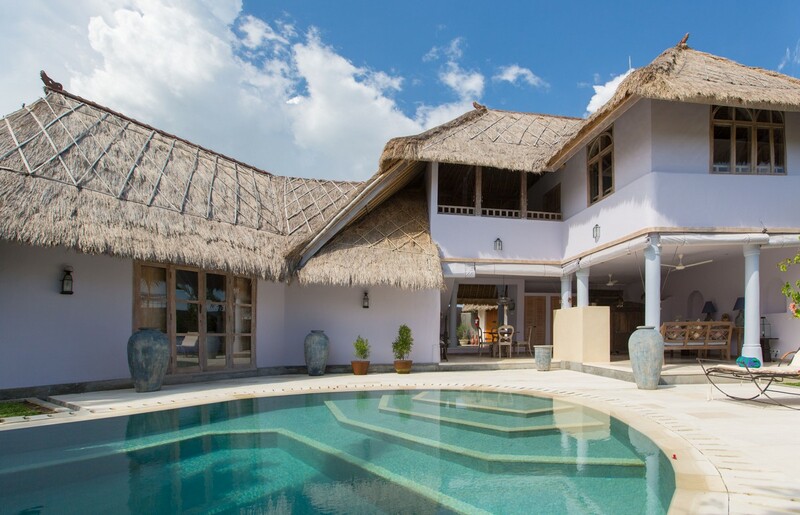 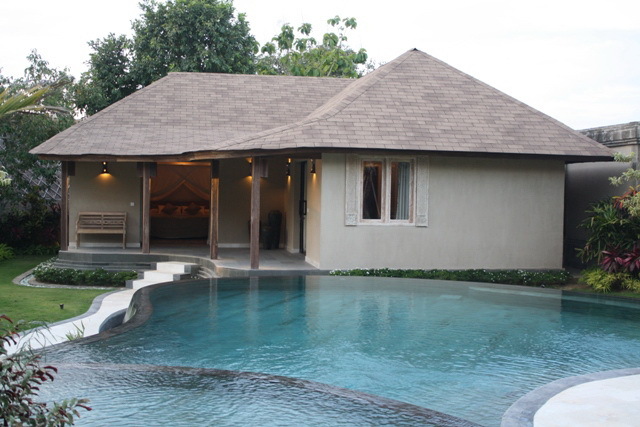 Villa Markisa located in the south of Bali called the Bukit the particularity of the villa is all day long under the sun. 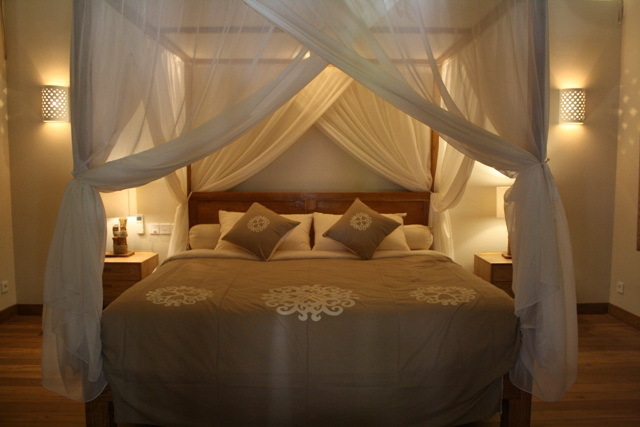 The villa is divide in tree part, the living room, the master bedroom and the two other bedrooms. 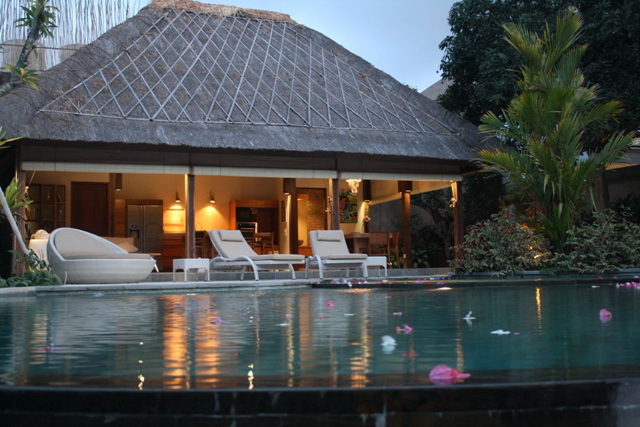 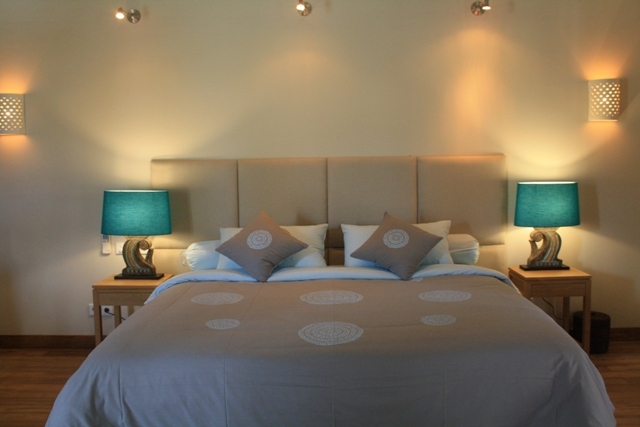 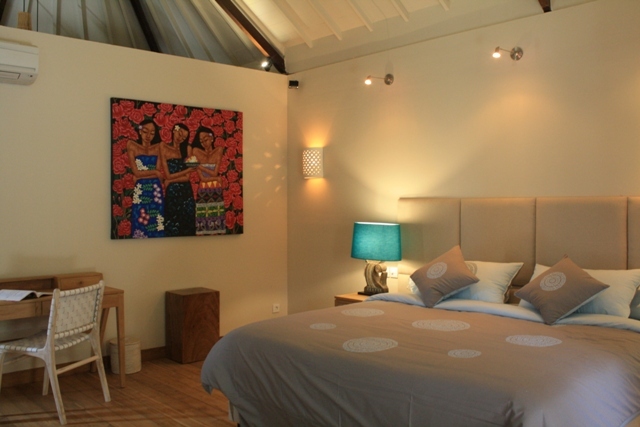 Villa Markisa can accommodate up to 6 people. 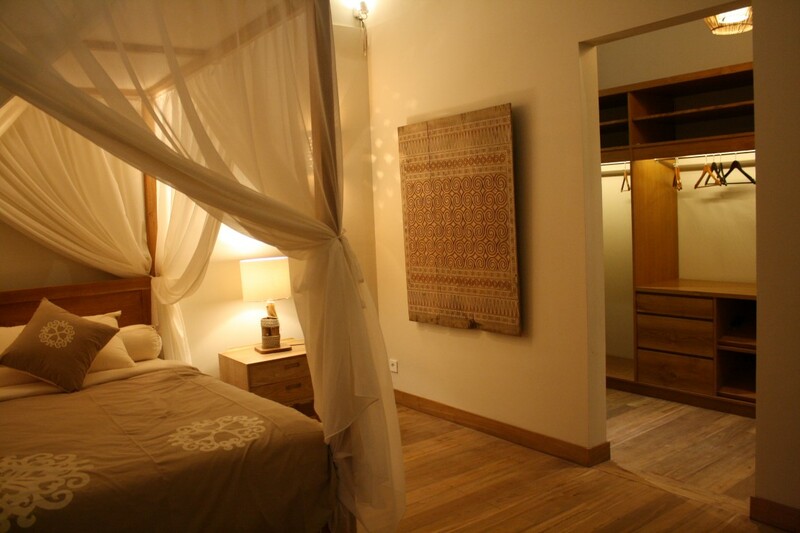 All the bedrooms are independent from the living area. 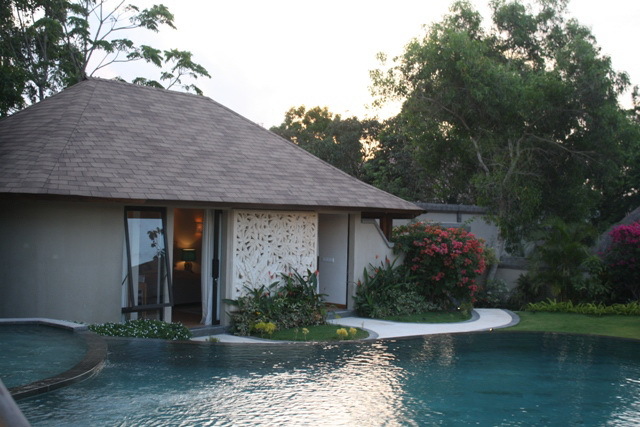 The master bedroom is in the back of the garden and the two other are in another bungalow. 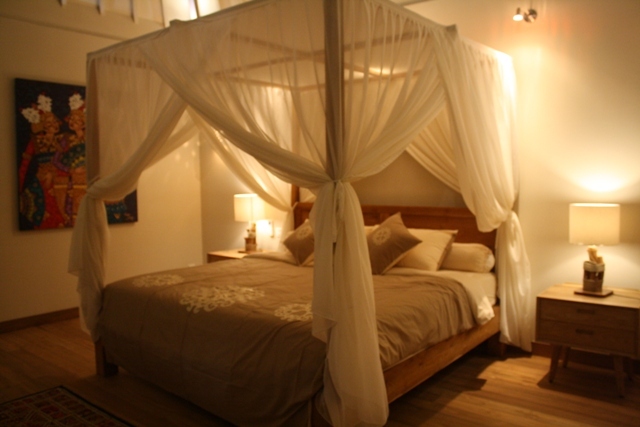 The master is equipped by a king size bed and the two other by twin’s bed. 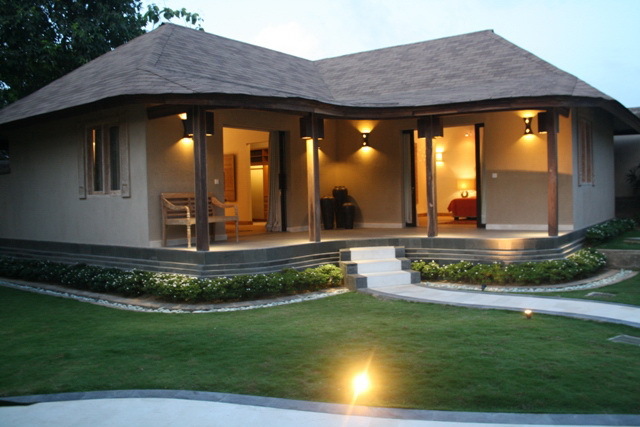 A white stone road give you access to the different bungalow and have a relaxant walk. 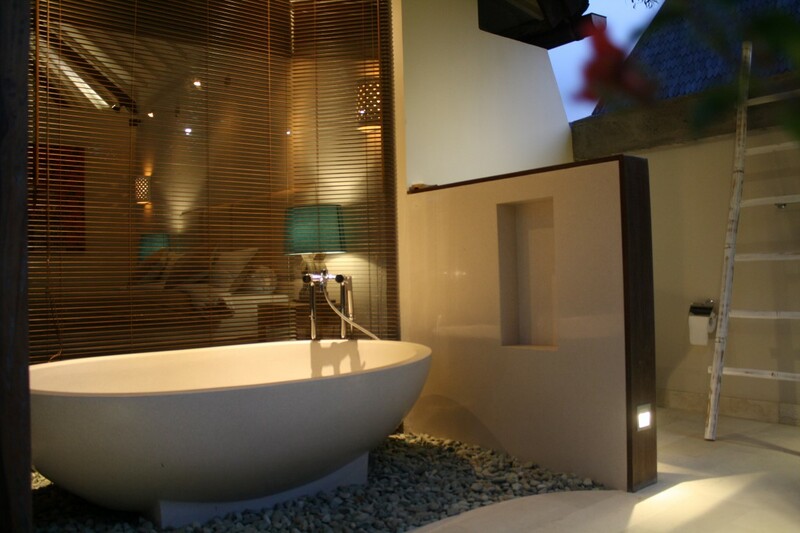 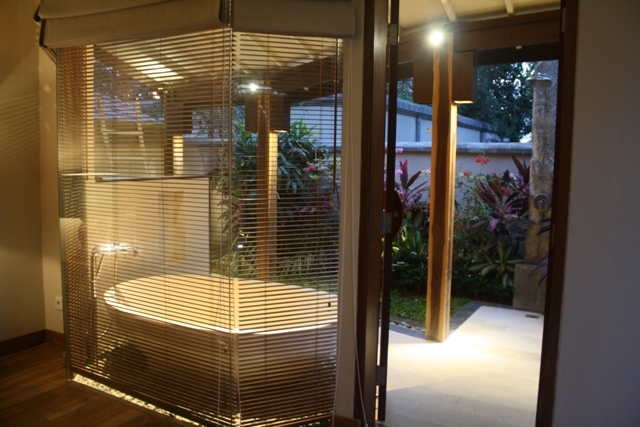 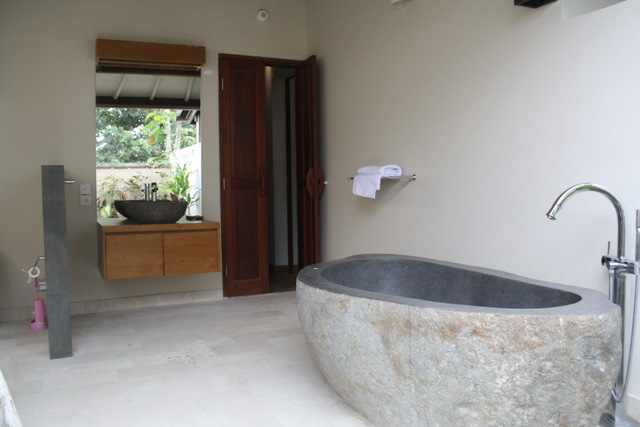 Each room are spacious and warm light, they all have a bathroom in suite opened on the outside with a bathtub. 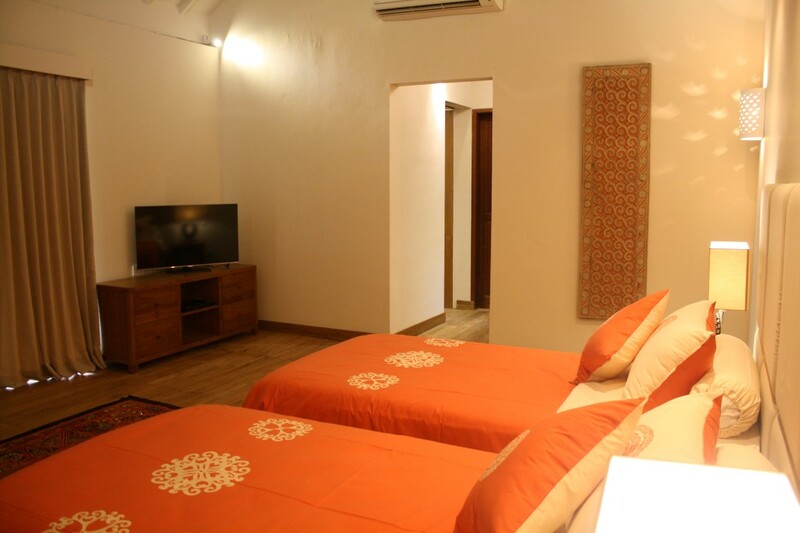 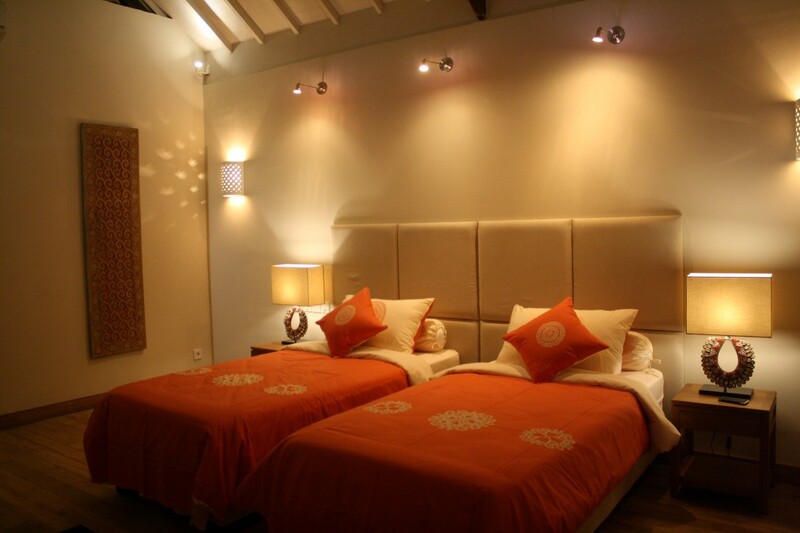 All the rooms are also equipped with a TV, WIFI and HIFI Bluetooth. 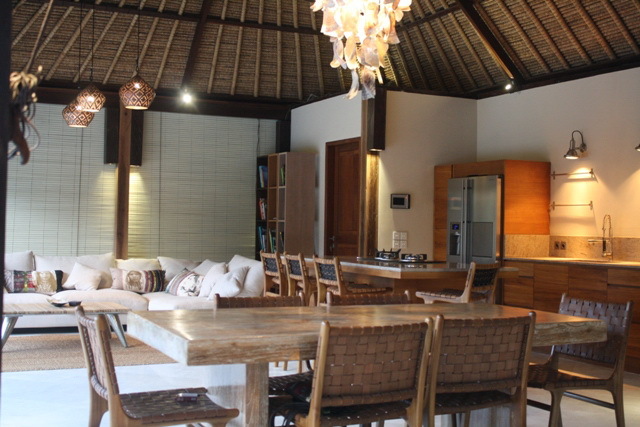 In the living area, we have the living room, the kitchen overlooking the pool and the garden. 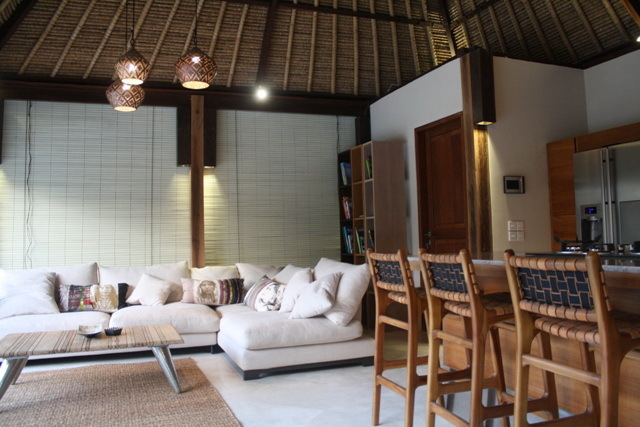 In the living room you will find a very comfortable white sofa and wood decoration in the typical Balines style. 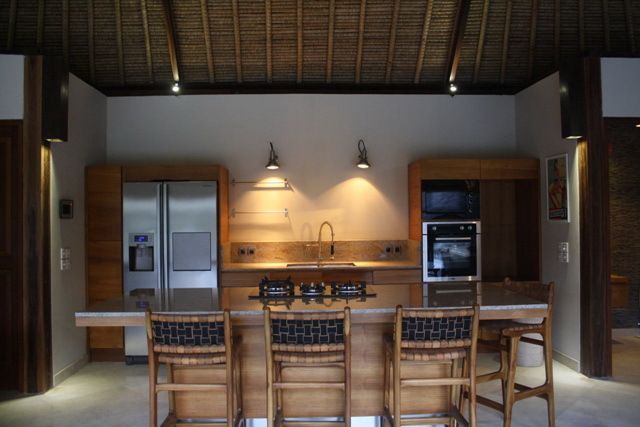 The kitchen is fully equipped with a central bar where you will spend good moment, the dining area can welcome 8 guest on the table. 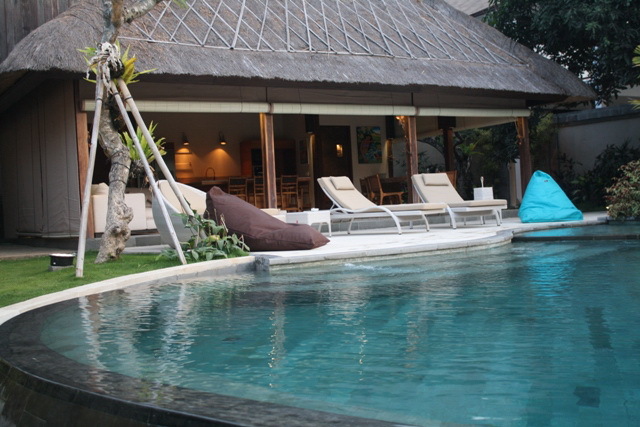 In the green garden you will find a private pool with two basin, one for the kid and a deeper one for the adult.